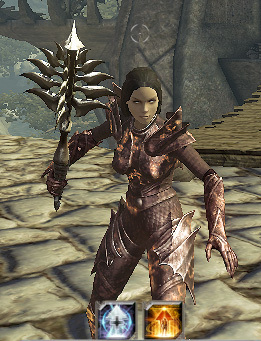 Now that Yara has reached level 15, she can equip the three sets that she started with in Farglow. 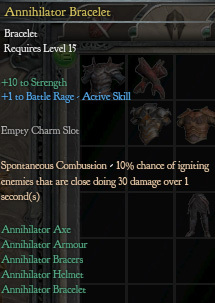 I did that already with the Annihilator set, but I sold the other two. 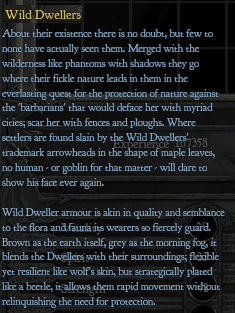 But thats what old saved games are for. 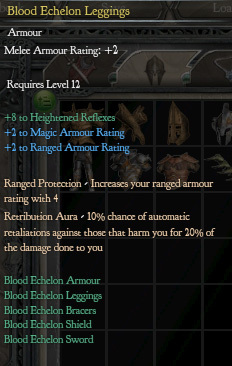 This set lacks leg armour. 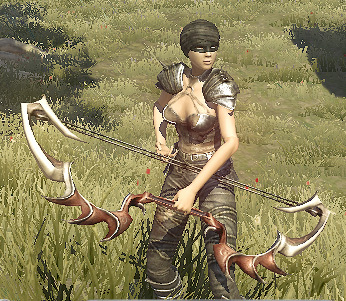 Usually I remove pieces which aren't part of the set for photoshoots, but not this time. 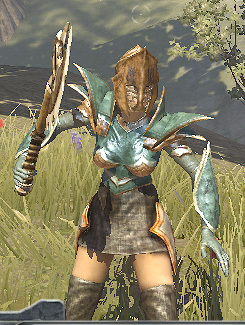 Ill be wearing this for a while (minus the axe), but Ill start switching pieces of it out for one of two other possible sets. 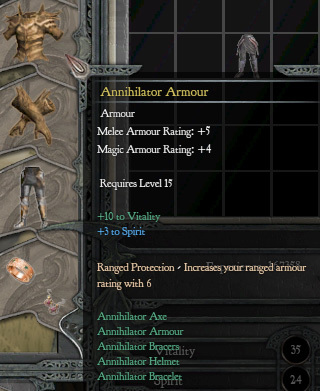 The Annihilator set gives hefty bonuses to Melee Damage (+19) Strength (+12) and Vitality (17 = 119 HP). 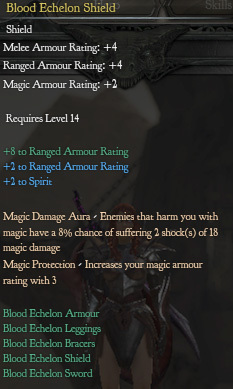 It provides +1 to Battle Rage. 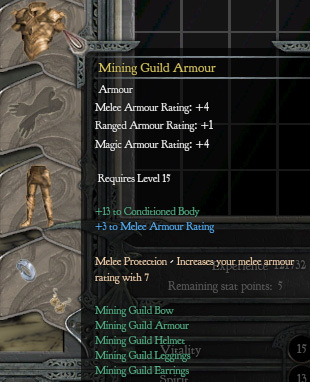 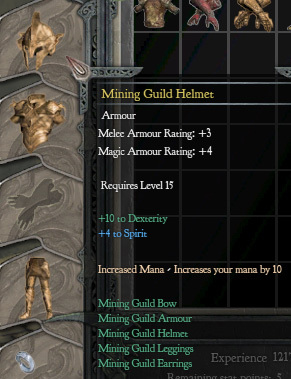 The Mining Guild provides a 94 HP boost, and a substantial bonus to ranged damage. 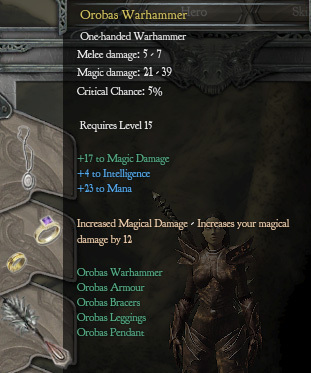 Bonuses directly to damage are added before other factors, so the +17 to ranged damage makes your minimum damage 17-17 before other factors are added in. 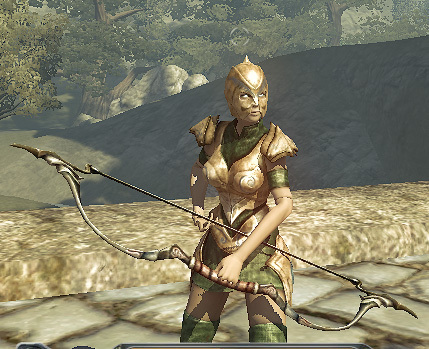 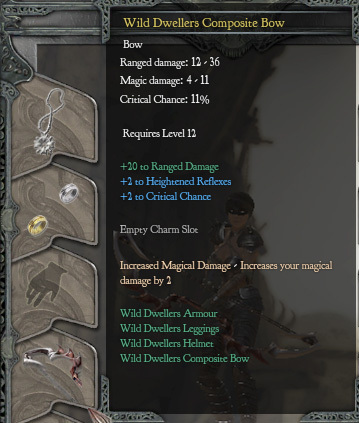 The bow also has a high base critical chance at 17%, and it increases your Heightened Reflexes (critical damage) by 12%. 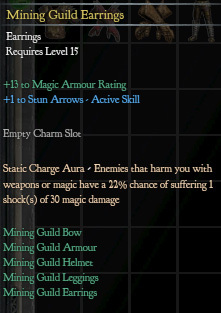 It provides +1 to Stun Arrows. 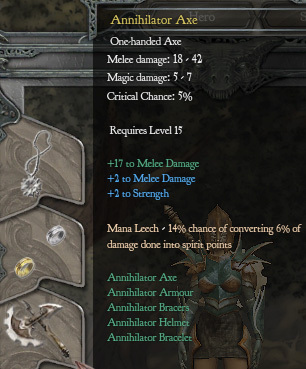 It gives high bonuses to melee and magic attacks, but almost nothing against other rangers. 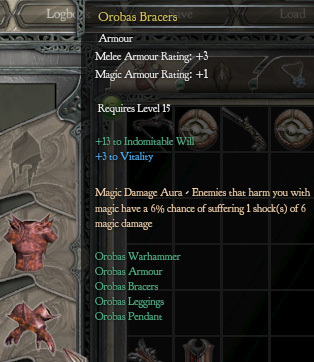 This set is for the mage. 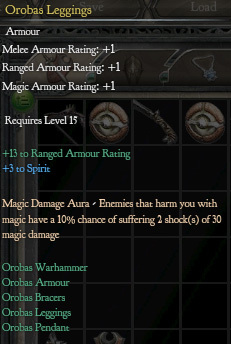 It gives +13 to Spirit = 91 Mana, and some hefty magic damage bonuses (+29), and thats before the 21-39 magic damge it already does. 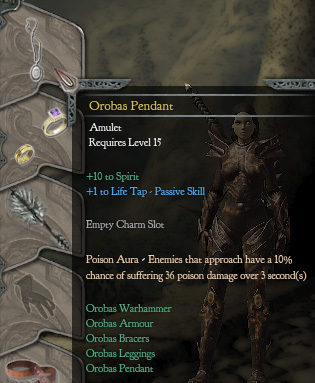 It provides +1 to Life Tap. 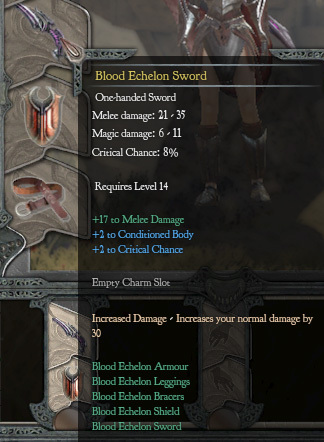 Ill also show off the completed Broken Valley Wild Dwellers and Blood Echelon sets. 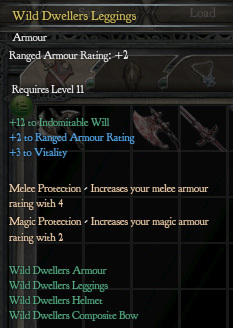 And then Im selling those too, because theyre taking up way too much inventory space. 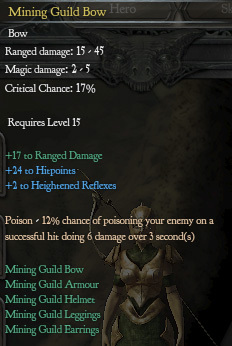 A high bonus of 20 to ranged damage. 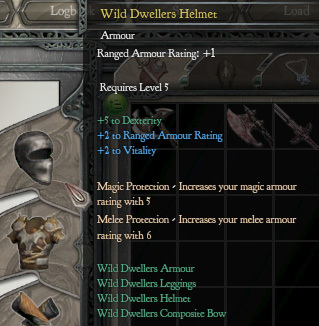 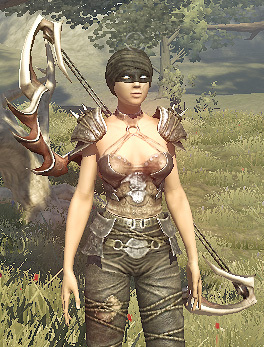 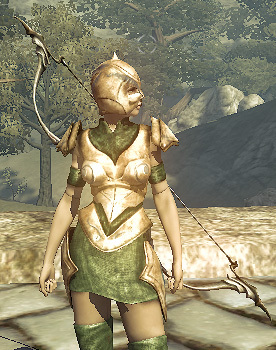 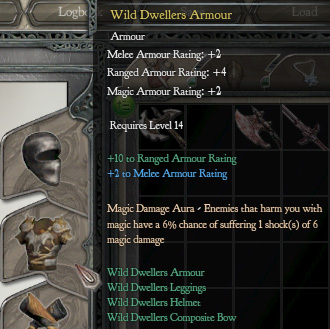 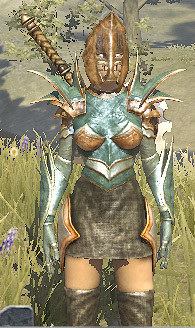 This armour set gives a high bonus to ranged armour rating. 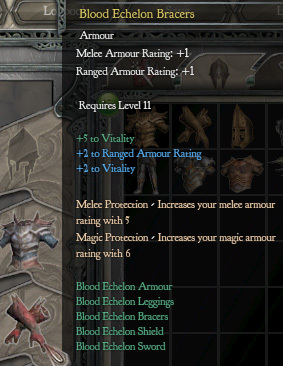 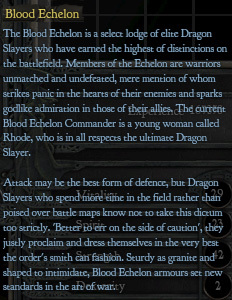 The Blood Echelon set is mostly concerned with increasing your armour ratings, which makes sense for a set which includes a shield. 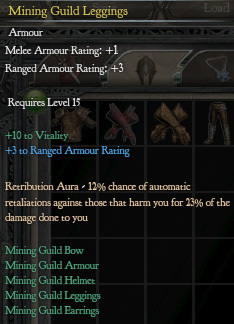 It doesnt really do anything else of note. 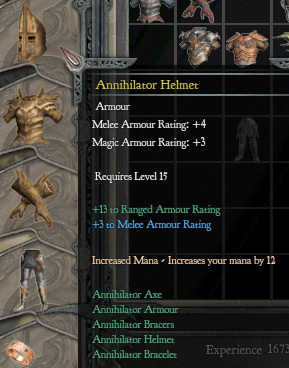 Annihilator probably wins out for having other bonuses, especially since Battle Rage reduces your melee armour rating by a lot. 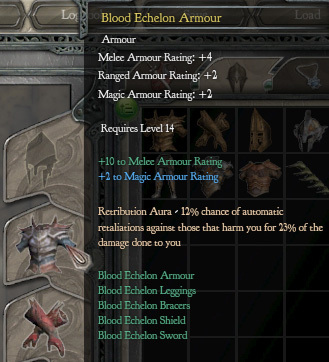 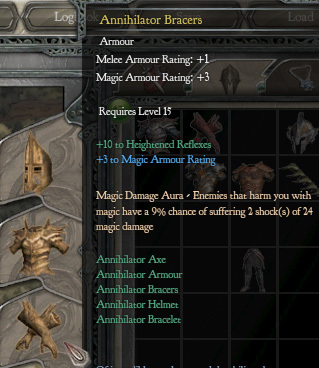 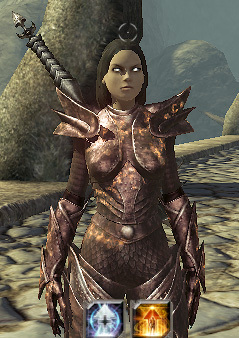 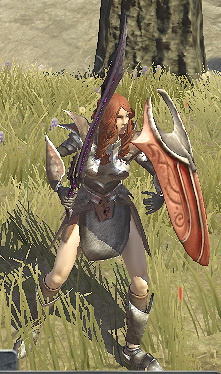 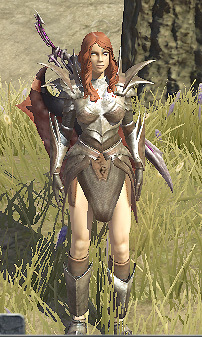 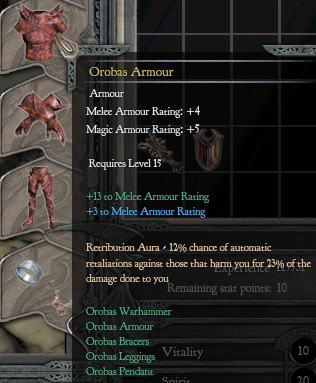 And since Yara does not use a shield, the armour bonuses from the Blood Echelon set are actually inferior to those of the Annihilator (except melee, which is reduced by Battle Rage).